"Yes, you may feel unqualified, undereducated, under-gifted, or even unworthy. Yet ... those are excellent qualifications for God to do a mighty work. This story is a perfect example It demonstrates how amazing things can happen as a result of sincere faith and obedience." Agape's Children is the heart-warming story of how an ordinary woman responded when confronted by child beggars in Kisumu, Kenya. Darla's story of how she rescued street children and transformed their lives by the power of God's love, will grip your heart. Can one person really make a difference? These boys and girls, rejected by their own, hooked on glue, and sick with scabies, HIV, or worse, often run from help. How much love does it take to reach beyond their outward appearance to redeem the lives of these little people? As much love as one can give, and then some. It requires Agape love, the kind that comes from God. 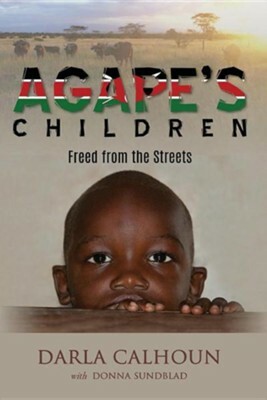 I'm the author/artist and I want to review Agape's Children: Freed from the Streets.